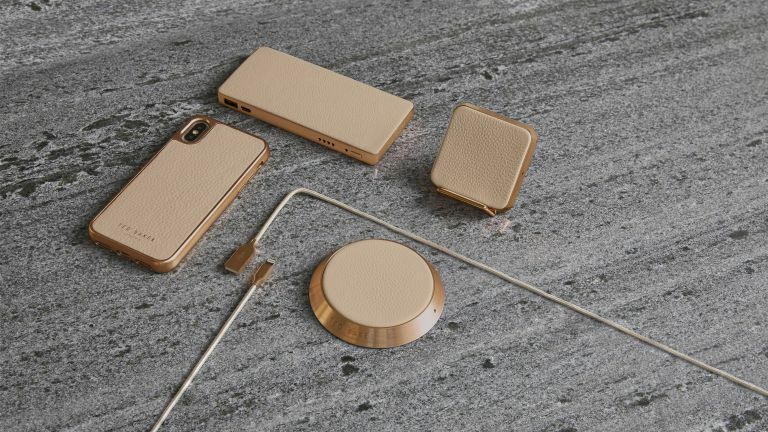 The luxury clothing brand Ted Baker has revealed it will be expanding into the world of home tech with the launch of Connected (get it? Connected? Ted Baker? Yep, was lost on us at first, too). The subtle desktop charger allows you to charge your phone, no cables required; simply place your phone on the (premium leather) pad and it's done. No more frantically scrambling for a charger when you hit 10 per cent, no more tangled ugly white wires everywhere – set your phone free with just one chic, clean looking pad that takes up a mere 5 inches of surface space. Just from a sneak peek at this collection, we have our fingers crossed that this is only the beginning of Ted Baker’s foray into home tech. The whole collection is available to pre-order at proporta.co.uk and will be hitting Ted Baker stores and online in November.